2015 Kia Forte, Atlanta Area Comparison – Forte Offers more features and power than the Toyota Corolla and Honda Civic Sedan for less money. One of Kia’s most popular models, the Kia Forte, is available as a two-door, four-door or five-door hatchback. With a variety of body styles to choose from, the Forte is a perfect choice for drivers who want an economical, functional and stylish mid-size compact car. 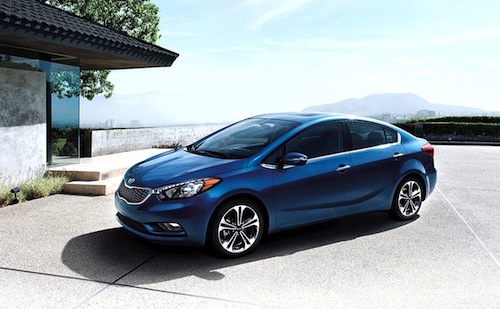 When compared to other models in the same class, the 2015 Kia Forte offers more car for less money. In a comparison between the 2015 Kia Forte, 2015 Toyota Corolla and 2015 Honda Civic Sedan base models the Forte has the lowest starting price. The Kia Forte is priced at $15,890 while the Toyota Corolla is priced at $16,950 and the Honda Civic Sedan is priced at $18,490. Although the Kia Forte costs significantly less money it delivers similar or better fuel economy and safety features as the other models. It also shares identical features such as tinted glass, rear window defogger, power adjustable rearview mirrors, 60/40 split folding rear seats, steering wheel controls, lower console storage and power steering. Additional features found only on the 2015 Kia Forte include satellite radio, rear disc brakes and power heated exterior mirrors. 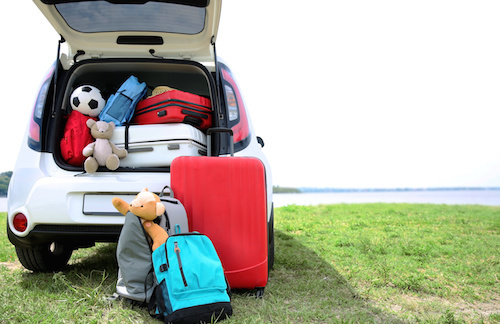 The Forte also offers more front head room and additional cargo space of 14.9 cu. ft compared to the 13.0 cu. ft. of cargo space in the Corolla and 12.5 cu. ft. of cargo space of the Civic Sedan. The 2015 Kia Forte, Toyota Corolla and Honda Civic Sedan are all powered by a 4-cylinder 1.8L 14 engine. However, the muti-port fuel injected engine of the Kia Forte delivers more horsepower, specifically 145 hp as compared to the Corolla’s 132 hp and the Civic’s 143 hp. A better warranty is offered with the Kia Forte. It is backed by a 60 months/60000 miles and a powertrain warranty of 120 months/100000 miles. The Toyota Corolla and the Honda Civic Sedan both come with a 36 months/36000 mile warranty and a 60 month/60000 miles powertrain warranty. With more features, power and a better warranty then other top selling brands in the same class, it’s hard to go wrong with the new Kia Forte. There is no doubt about it, the 2015 Kia Forte is a lot of car for the price. We have a wide selection of Kia Fortes in the Atlanta, Georgia area. If you would like to learn more about the 2015 Kia Forte, Forte Koup or Forte5 please Contact Us. We would be happy to answer your questions and arrange a test drive.